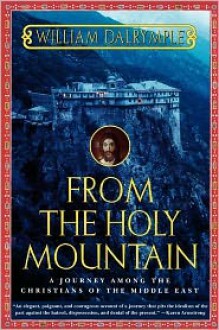 In 587, two monks set off on an extraordinary journey that would take them in an arc across the entire Byzantine world. On the way, John Moschos and his pupil Sophronius the Sophist stayed in caves, monasteries and remote hermitages, collecting the wisdom of the stylites and the desert fathers. More than 1,000 years later, using Moschos's writings as his guide, William Dalrymple sets off to retrace their footsteps. A rich and gripping blend of history and spirituality, adventure and politics, this work is threaded with Dalrymple's unique send of black comedy. 32 photos. 496 pp.